If it wasn't obvious before that the "Dylan" of Dylan's Candy Bar is a woman.... well, it is now! Check out this battle of the sexes -- chocoholic style. 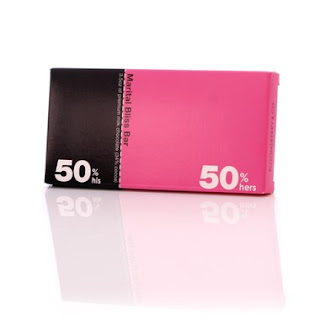 The marital bliss chocolate bar... split *almost* 50/50.